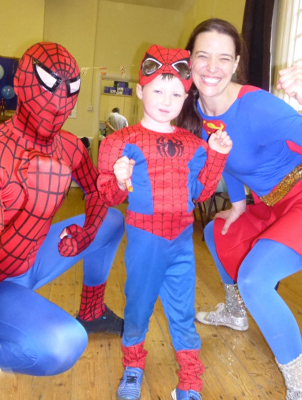 Superhero Party with spiderman appearance! 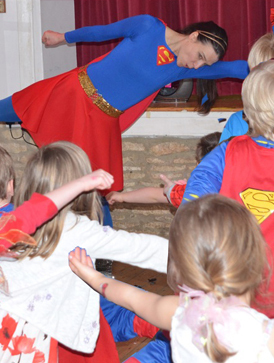 Choose between Spiderman, Superman or Supergirl to host this SUPER fun packed party! And if Spiderman is hosting you get a special leaping flipping routine to his theme song with all the acrobatic Spidy moves! 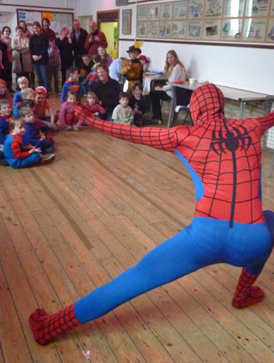 Your Superhero will arrive 15 minutes before the party starts to greet the birthday child and set up. As the guests arrive they will give each child a hand stamp or a little fairy dust. 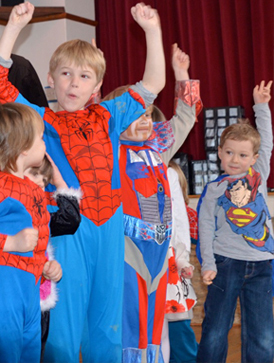 After most have arrived 15 minutes into the party they will proceed with an hour of Superhero themed games, dancing and lots of action and fun. Lots of props are involved such as percussive sticks, beanbags, bubbles, parachute plus a pass the parcel (1 parcel per 15 children, so if over 15 then 2 will be passed around simultaneously.) 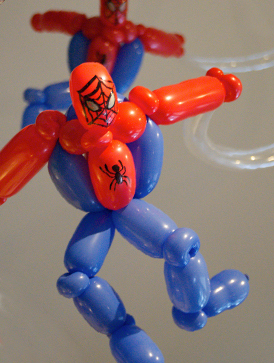 Your superhero can leave as you begin food, or if you are having the 2 hour package then they will stay – making each child a balloon sword. Party games are then played to the end where they can help you organise a group photo, or help pass out the party bags. For an extra special element to the party why not add a craft activity to the 2 hour package! See our crafts page for pictures and prices. 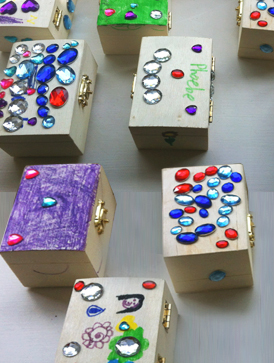 Treasure chest decorating is very popular and are a great alternative to party bags – you can even pop a few sweets inside to give each child at the end of the party. For a duluxe craft activity these Superhero capes are great fun to decorate and a fantastic memento. 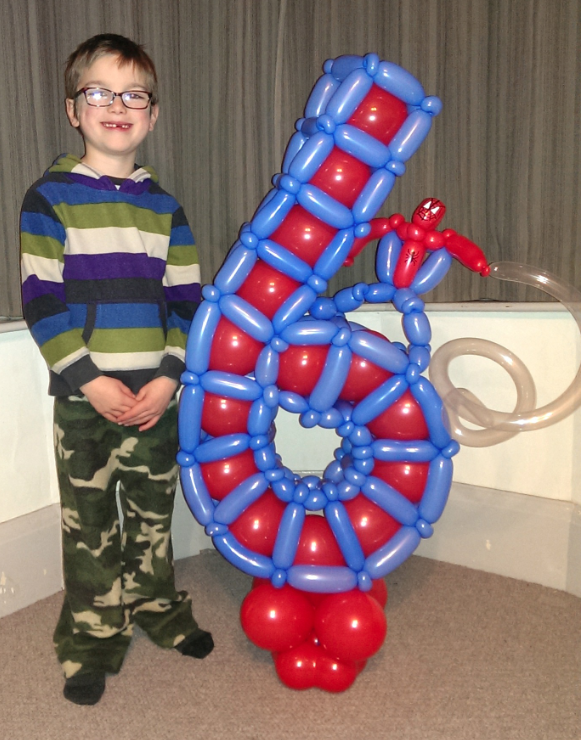 From a Spiderman for the birthday boy or as an alternative to party bags, to giant Super numbers why not add a balloon gift to your package. These are pre-made and brought to the party by your entertainer. See the balloon gifts page for more details and inspiration.